If you're reading this it's most likely because you're due a little human soon (congratulations!) or you may just be curious what interesting things I consider my Top 5 Essentials to keep my little person alive and well. 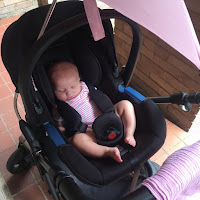 Everyone's opinions vary on what is considered 'essential items' and to be quite honest I am very much into my 'gadgets' so when I found out I was having a baby I definitely ventured into the world of newborn/baby ones. Another great gadget from Tommee Tippee... the steam steriliser! Before having a baby I wasn't even aware you had to sterilize items let alone do it two or three times a day. This machine makes that process so easy, all you have to do is wash out the used bottles (I use fairy liquid) and then pop them into the slots and put 80 ml of water into the bottom of the machine, close the lid and press the 'power' button. Then before you know it all the bottles/dummies/teething toys inside are sterilized and you don't have to worry about any germs. The machine usually takes around ten minutes to sterilize the items. This is probably my favourite item on this post because I know how much Maci loves it too... This was another item that I thought we wouldn't use as much as we have. We really couldn't make do without this, Maci sleep in this at night in her cot because she feels safe in it because it is quite 'snug' around her little body whereas in her moses basket she wouldn't settle because she could move around and she didn't like that. These Sleepyheads are also perfect for travelling, recently myself and my partner travelled a few hours from home for a couple of nights to visit some family and we didn't need to cart around a massive moses basket all we needed to take was Maci's sleepyhead (we had a cot in the hotel room). Another thing that I love about this brand is that there are so many different designs for these items, I personally have never seen another one similar to Maci's and that I really like. The only downside to this product is that they are a luxury item, they retail for around £130 although I would consider it worth every penny and when Maci outgrows this one I will definitely be purchasing the Sleepyhead Grande. I never thought I would see the day when I end up blogging about Nappy Bins but here we go! 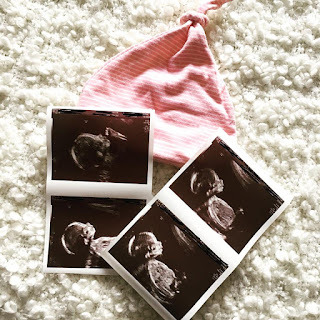 This item was one of the first 'baby products' I brought whilst I was pregnant and quite honestly I brought it because I was curious as to what it actually was, I didn't realise how crucial it would become in our home. It is basically what it says on the box a 'Nappy Disposal Bin' and it means that you don't have to put any used nappies straight into your usual bin, you can pop them into here and it keeps the odour in and then once its full you then empty it into a bag and you don't have to worry about it. You have to purchase 'refill' bags for this bin so that when you place a nappy into the top of it and push it down (using the specific part in the lid, so no hands get mucky!) it automatically falls into the refill bags. The only downside to this item is that it gets full fairly quickly meaning I constantly feel like im emptying it although this wouldnt prevent me from purchasing it as it's a great item. Choosing a Pram is a huge decision and I certainly did my research before I chose which one I wanted. 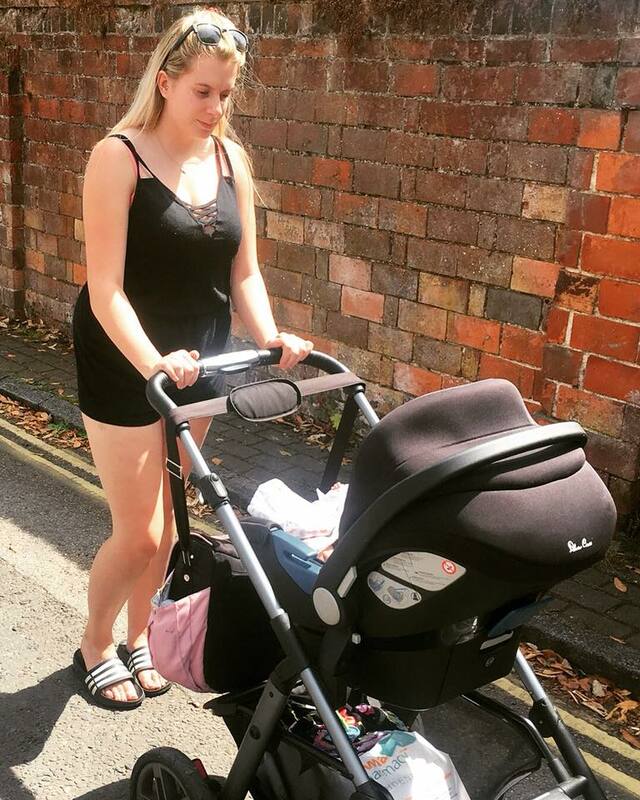 I absolutely love my Silver Cross Pioneer and all the accessories that you can buy for it such as; pram umbrella, cup holder and a matching changing bag. This Pram is very durable and easy to fold away to put it into the car. To remove the car seat from the chassis you simply press two buttons, can't get easier than that! It also has a massive basket underneath meaning it is the perfect Pram to take shopping! The changing bag has many sections, it has four bottle holder sections (two on the outside and two inside the bag) which are insulated too. Inside the bag you have three big sections meaning you can organise it to suit you. Personally I find Silver Cross products extremely hard wearing and durable, I highly recommend any of their prams. I hope this post has helped some of you out and may of introduced you to some new products.